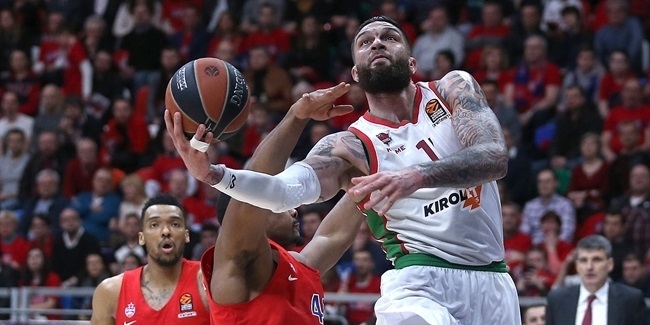 Spanoulis was not only the MVP, but also the week’s top scorer. His scoring average increased to 16.9 points per game, which is second only to Fenerbahce’s Bojan Bogdanovic (17.9 ppg.) among Top 16 players. The regular season rebounding leader, Joffrey Lauvergne of Partizan, was back at it with 13 boards on Thursday. 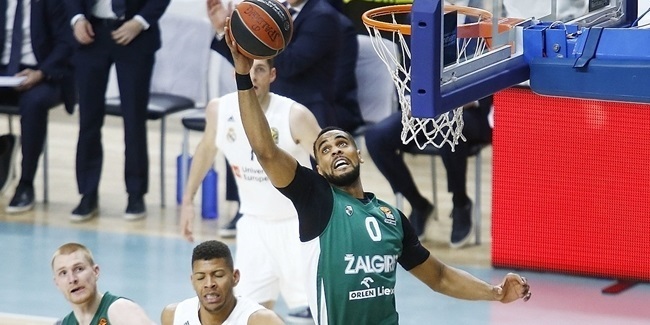 Panathinaikos big man Stephane Lasme tied him for the week’s lead. Dimitris Diamantidis padded his league-lead in assists with 11 in a home win over EA7 Emporio Armani Milan. Diamantidis’s 7.6 assists per game this season represent a career high. Unicaja’s Earl Calloway had 4 steals, the most of any Top 16 Round 1 player. Anadolu Efes guard Jamon Gordon, who sat out his team’s loss with an injury, remains the league leader with 2.1 steals per game. 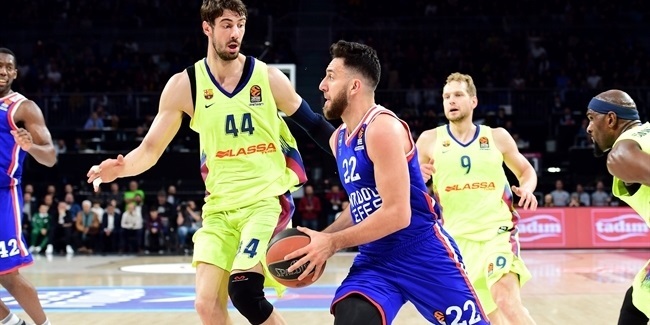 Lasme was joined by Barcelona center Ante Tomic as the week’s blocked shots leaders with 3 apiece. Injured Maccabi center Shawn James (1.86 bpg.) sits atop the season-long standings. Five players finished their Top 16 openrs with double-doubles: Devin Smith (14 points, 10 rebounds) and Alex Tyus (12 points, 11 rebounds) from Maccabi, Lauvergne (13 points, 13 rebounds), Aleks Maric (12 points, 10 rebounds) of Lokomotiv and Barcelona’s Joey Dorsey (10 points, 11 rebounds).